I’d be lying if I said I’m 100% happy with my blog. I suppose any blogger will tell you there are little things they’d like to change about their blog’s overall appearance and the content they’re producing but recently, my desire to drastically overhaul my blog is all I can think about and I’m not talking strictly cosmetic changes. 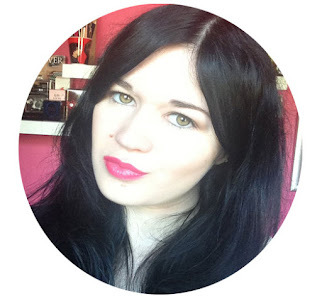 When I first started this blog, it was under an entirely different name, it had an ever-changing colour scheme, a bog standard template, and the content was nothing more than spoilt, whiny teenage ramblings. Eventually, I moved into YouTube so this blog became an extension of my channel and it was a poor excuse for a beauty blog that featured over cropped, incredibly dark images of products that I bought for the sheer sake of reviewing. Finally, my blog became what it is today; a mish-mash of my ramblings, occasional beauty reviews and lots of books. It doesn’t make any sense and I’m a firm believer that you do not need a niche to be successful but I hate what my blog has become. It’s not that I don’t enjoy creating my content because I do; it’s more a case of this blog is no longer an accurate representation of my thoughts or my overall being. I’ve felt myself get sucked into the idea of needing bright white photos, beautiful flat lays and calling everyone “lovely” in order to maintain and grow my readership and in all honesty, I hate all of that. The bright white photos hurt my eyes, I don’t have the ability to create pretty little flat lays and the mere idea of me calling anyone “lovely” makes me cringe. I’ve watched myself try desperately to belong to a community that, on some level, I can’t relate to and it’s exhausting. That’s not to say every blogger is the same and I would hate for anyone to walk away (or click away if we’re going for the literal sense) from this post thinking I’m tarring every person who calls themselves a beauty or lifestyle blogger with the same brush. It’s more like I’ve watched this community grow and change and I tried to adapt but always found myself standing on the wrong side of the fence. If blogging was evolution, I'd be extinct. The change in myself also plays a role in how I’m viewing my own blog. I don’t really care about buying the latest makeup release or what haircare product I should be using. I have no interest in spending my money on products just so I have blog content. I don’t want to have to set up the perfect layout in order to photograph a new item before I allow myself to use it. I just want to write my opinions on things I care about and articulate my thoughts beyond the limited characters of Twitter. I also want to stop biting my tongue. I’ve written countless tweets that I’ve then deleted because I’m all too aware of how often people read between the lines that aren't there and try to start an argument on things I never said or even thought. I can’t be bothered with people pushing their agenda into mine just so they can discredit whatever it is I’ve said and then never do anything to promote whatever it is they just shoved down my throat again. I’m bored of feeling like if I share an opinion that may be a little too controversial for the safety of social media I’ll probably offend someone and become enemy number one. So, with all that in mind, this blog is going to become more of a social commentary than an odd selection of beauty, ramblings, and books. I don’t expect anyone to enjoy whatever it is I have to say as it will solely be my, hopefully, well-thought-out, opinions but I know that my enjoyment of my hobby is more important than someone’s dislike for it. I admit it, I hate winter. I hate the cold weather, I hate how the damp air makes my hair frizzy, I hate having to defrost my car in the morning, I hate the awkward steps I have to take when I know there’s ice lurking somewhere on the pavement and I hate the fact daylight only exists until 4 pm. The only real positive to winter is it allows a homebody like me to stay indoors without feeling guilty but I need a few things to be totally comfortable and avoid cabin fever. My winter nights revolve around a couple of things so here they are! If you had told me 10 years ago that I would happily spend time watching TV on a tiny tablet or phone screen I would’ve taken one look at my then giant TV and laughed at you. It’s true though, I have taken to binging on extremely obscure documentaries (who doesn’t love a documentary on French sculptors though?) on screens smaller than a ruler thanks to Netflix and Amazon Video. More often or not, I’m too lazy to hook my tablet up to my TV (or my dog is lying on me and looks too comfy to disturb) and tablets are handy. I can’t stand the horrendous tinny sound that phones and tablets produce though so I make the effort to sync it via a Panasonic Waterproof Bluetooth speaker; I may be too lazy to move but I still have standards when it comes to sound. This is the part where I should probably recommend some TV shows but I’m still stuck in an endless loop of Friends reruns and early episodes of Modern Family so I’ll refrain from doing that. On the other-hand, I know some great documentaries so I urge you to check out Final Portrait, Betting on Zero, Disposable Hero, The Crash Reel and The First Monday in May. Put a bag of crisps in front of me and I will demolish them before you’ve even finished offering me one but I’m trying to eat healthier (she says while munching on a bag of crisps) so I’ve changed my description of comfort food. I try to stick to warm, filling vegetarian meals that are quick to make and oh so delicious. Shepherd’s pie with sweet potato and empanadas made with meat-free mince always go down a treat but my absolute favourite meal for exceptionally cold nights is a spicy root and potato casserole. I also won’t say no to a kidney bean burger made by my other half and if you throw a sweet potato and lentil adaption of sloppy joes my way, I’ll love you forever. I’ve officially lost count of how many books are on my to be read list but winter is the perfect time to get through them all. As the days are shorter and my opportunities to paint are dwindling, curling up with a good book in a cosy corner of the room is too appealing to pass up. I’m still slowly plodding my way through Stephen King’s IT but, once I’ve finished that, I have plans to dive straight into either John Ajvide Lindqvist’s Let The Right One In or Homegoing by Yaa Gyasi. I’m also tempted into rereading The Underground Railroad by Colson Whitehead as I believe there are a few details I may have missed the first time around. While the lack of daylight may be hindering my painting, I love using electric light to work on my actual drawing ability. Being able to work on drawings where I don’t have to worry about guidelines for where to put colour or even ruining the line drawing by adding paint is liberating. I’m horrendous when it comes to perspective so my refusal to paint with artificial light means I get to work on that. This does mean I have quite a few unfinished drawings lying around but at least I can see a minor improvement across the board. Being a comfy, lazy human who is full of nice food and has a couple of pencils nearby helps me get through winter. If I could hibernate until spring I would but apparently, there’s this thing called adulting that I have to be a part of so hibernation isn’t possible. I’m hoping the world will keep churning out documentaries and I’ll keep finding nice, hearty meals to consume otherwise winter and I will never get along. 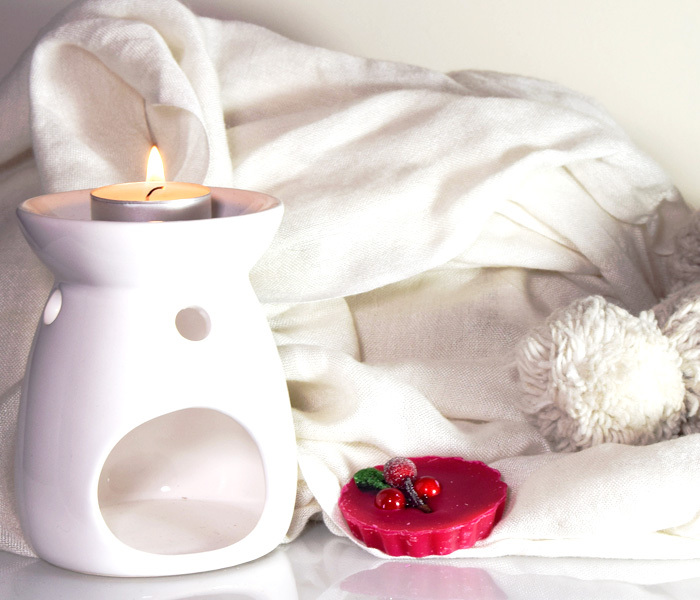 What are your essentials for a cosy winter night in? Disclaimer: This post is in collaboration with Panasonic. Up until recently, I would always listen to music while trying to do anything considered productive. Music was the only thing that would work whenever I needed pure concentration but now, Wiz Khalifa and Eminem in my ear is so distracting I end up procrastinating just to listen to them. I can’t work in utter silence though and having the TV on is a no go (Come Dine with Me is just too good to ignore) so I decided to try out podcasts and haven’t looked back. Having someone speak about subjects I'm interested in usually helps me get on with whatever it is I’m doing. There are a few podcasts I always put on whenever I need to focus on something and I wanted to share those favourites with you. Open the podcast app on your phone, tablet or whatever else you’re using and get ready to do some subscribing! 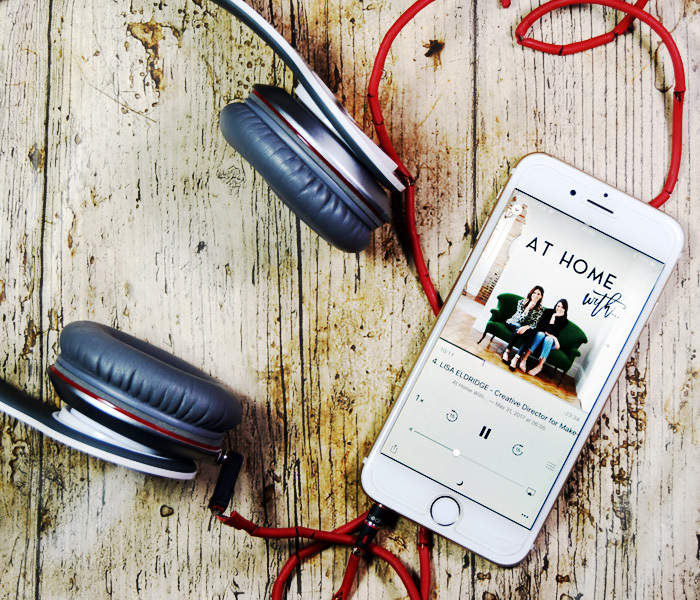 At Home With… - At Home With… was the first podcast I subscribed to and I stumbled upon it by chance. I wanted a podcast but didn’t know what kind I was looking for so started searching through the top-rated podcasts. At Home With… jumped out at me as I recognised Lily Pebbles and Anna Newton from the thumbnail. I don’t typically follow their YouTube channels and blogs so had no idea they were even doing a podcast together but once I realised they had just released an episode with Lisa Eldridge, I was sucked in! At Home With… is around 40 minutes of Lily Pebbles and Anna Newton chatting to some amazing people inside their homes. They discuss how the person being interviewed got started in their chosen career and what they’re up to today as well as describing a few rooms of their house. Guests include the aforementioned Lancome Creative Director and makeup artist extraordinaire Lisa Eldridge, Glamour Magazine Editor-in-Chief Jo Elvine, wellbeing guru Liz Earle, Cult Beauty founder Alexia Inge and a whole bunch of others. I really hope they do a second season of At Home With… as it’s such a great podcast. Wellness with Liz Earle – Speaking of Liz Earle, listening to her episode of At Home With… made me search for her wellbeing magazine and of course, her own wellbeing podcast. Wellness with Liz Earle covers a broad variety of topics including menopause, gut health, kefir, juicing and staying safe in the sun. She’s also had guests such as the youngest winner of The Great British Bake-Off Martha Collison, Strategy and Policy Director for the Association’s Food for Life programme Joanna Lewis, Legology founder Kate Shepherd and business psychologist and founder of Department Store of the Mind Ruth Williams. Liz Earle is such a calm, chill lady and is so knowledgeable about a wide variety of subject matters to the point where you're going to want to learn about things you never even considered before. Savvy Painter Podcast with Antrese Wood – I was getting ready to start a new painting when I discovered the Savvy Painter podcast. I wanted to hear from other artists about what it is they struggle with and how to maintain momentum when they’re frustrated with their work and Antrese Wood’s podcast was exactly what I needed. In the Savvy Painter podcast, Antrese speaks to a wide variety of artists about everything from being a self-taught artist to selling your art to artist’s block. 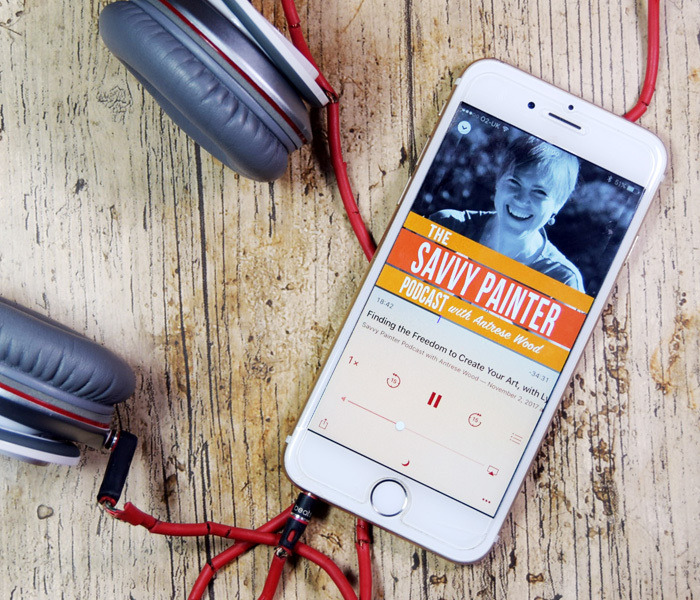 There is such a huge selection of topics and so many episodes; I don’t think I’ll ever get bored of listening to the Savvy Painter podcast. Added bonus, it keeps me motivated whenever I do decide to pick up a pencil or paintbrush. 99% Invisible – Thanks to the recommendation of another blogger (I can’t remember who it was but thank you) I started listening to 99% Invisible and immediately fell in love with it. 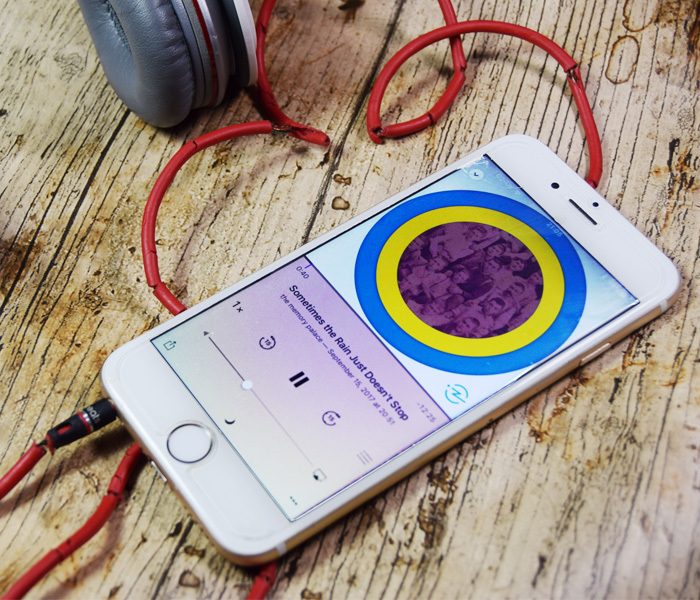 99% Invisible is a podcast that focuses on design. The very first episode I listened to was called The Finnish Experiment and not only did I get to hear about something happening in Finland that I would be completely ignorant to if it wasn’t for this podcast, I also found a plethora of episodes covering other topics on things I’d never even heard of. You may look at the title of these episodes and think they’re going to be really dull but the way Roman Mars and his team present each episode is so intriguing you’ll be completely sucked in. Who’d have thought learning about the origin of the sports bra would be so interesting! The Memory Palace – 99% Invisible takes me to The Memory Palace now as I actually discovered the latter through the former. The Memory Palace focuses on points in history that you may or may not have heard about. The vast majority of episodes are no longer than 15 minutes but contain so much information regarding each subject matter that my brain is now full of knowledge I wouldn’t have accumulated so quickly if it wasn’t for The Memory Palace. Nate DiMeo is so poetic with his words and so softly spoken that I often find myself totally relaxing whenever I listen to an episode of The Memory Palace. Southern Hollows – Finally, there’s Southern Hollows. This podcast focuses on historical events that took place in the south of America. I have a really strong interest in past racism in the US so hearing about things I’d probably never find without an abundance of research is really exciting for me; I’m really fun at parties, honest! Southern Hollows uploads around once a month so there isn’t a lot of episodes yet but the ones that are there are really interesting. If you’d rather not hear about lynchings and people tricking parents into giving up their children, I’d maybe give Southern Hollows a miss but if you are interested in past American atrocities, this podcast is for you. When I first met David, my adorable fiance, he was a smoker. He started randomly at the age of 17 and developed a smoking routine that he executed with military precision. Despite never being a fan of smoking, his habit never bothered me. I couldn’t smell the smoke on him and he was courteous enough to not smoke around me and my asthmatic lungs. He never really discussed the possibility of stopping until he was diagnosed with MS at the end of 2014. His smoking habit continued for a few months after his diagnosis but eventually, after realising how smoking could seriously affect his already aggressive case of MS, he decided to call it quits. He didn’t know where to start; no smoker he knew had ever tried to stop so he was pretty much left to his own devices. He muddled through and eventually came up with a strategy to help him quit. He's even been nice enough to share his methods with you which you can read as soon as you have finished this sentence. Go! 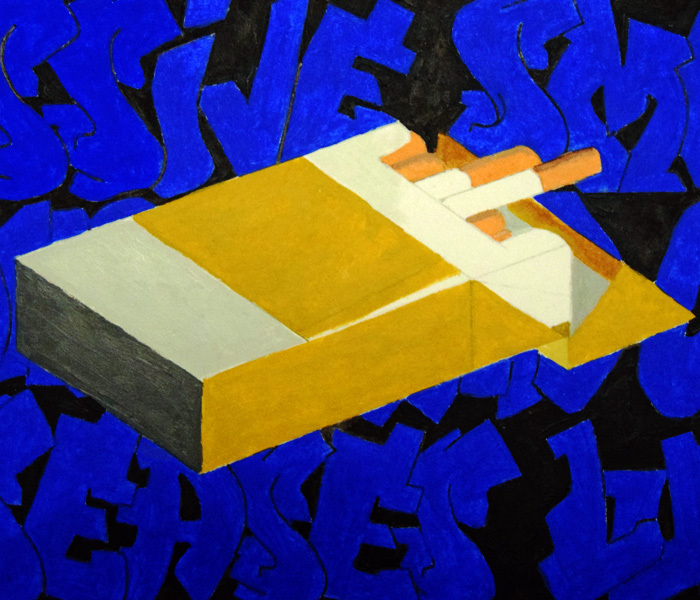 David decided to go down the e-cigarette route initially as it allowed him to stay in his routine but without having to deal with the lasting effects of smoking. Tobacco is the leading cause of preventable death in the world and cigarette smoke contains 5000 chemicals; 70 of which can cause cancer. E-cigarettes, however, contain no tobacco and instead use a nicotine liquid that helps satisfy your cravings. You can get a variety of flavoured liquid and the cost of an e-cigarette plus refills work out a lot cheaper than constantly buying packets of cigarettes. The one thing my other half did find while using an e-cigarette though was to avoid buying the really cheap ones as they’re prone to breaking after just a few weeks. If you’re interested in an e-cigarette that is not only functional but intuitive and sleek, Vape Ayr has got you covered. There are 2 routes you can go down when it comes to chewing gum; one is nicotine gum while the other is just good old fashion peppermint or spearmint chewing gum. My other half dabbled with nicotine gum when he first decided to quit smoking but deemed it too expensive and switched over to regular gum instead. He’s been cigarette free for 2 and a half years but continues chewing regular gum or munching on mints as part of a new routine. If you are planning on trying nicotine gum, ensure you follow the instructions correctly and begin to taper off at the appropriate time. The gum is typically designed to only be used for 12 weeks but at least 10% of people continue chewing the gum for at least a year. Ignore the stigma that surrounds self-help books as you wander over to that section of the bookstore as there are some fantastic books to help you quit smoking. For as long as I can remember, my uncle was a heavy smoker until he was given a book on how to quit smoking by a former cigarette loving colleague. A good self-help book will tell you to continue smoking while reading the book as it allows you to get into the right frame of mind before you put down the cigarettes forever. If a book advises you to quit right there and then, put it back on the shelf and walk away as quitting before you’re fully prepared is not going to make your body like you. It’s the one thing no one ever wants to hear as we all want quick fixes to our problems but willpower is one of the most important things when it comes to doing pretty much anything. Giving in every single time you feel the urge to smoke isn’t going to get you very far. If you truly want to quit, you have to fight your cravings otherwise you’ll just be going round in circles. Using willpower to stop smoking is, of course, easier said than done and you are allowed to slip up once in a while but you have to get that willpower in check and stop that one slip up from turning into your old habit. 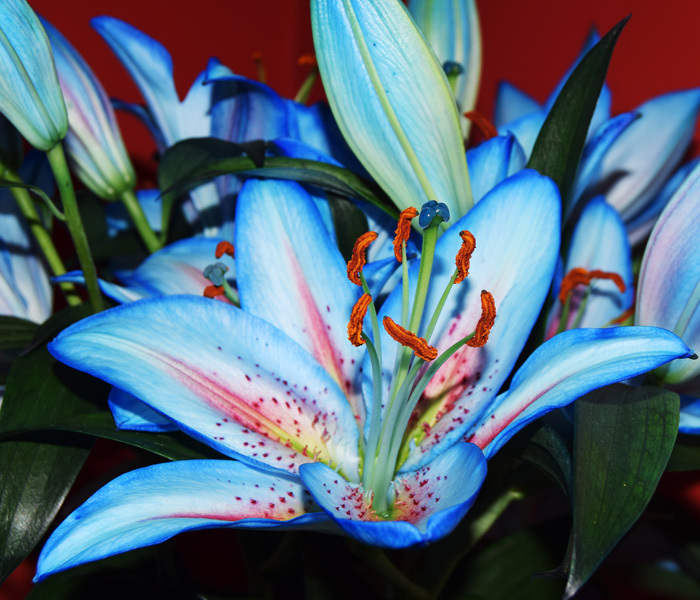 Like willpower, having a positive mental attitude is easier said than done. There will be plenty of points in our lives where dwelling in negativity over something that isn’t going our way seems significantly more fun than trying to see the positives but that won’t get us anywhere and it certainly won’t help you quit smoking. David is a fairly positive person as it is and isn’t one for giving up on things easily so he developed the positive mental attitude fairly early on in the quitting process. When I asked him what his best tip for quitting smoking is, this is the first thing he came out with. Having a positive mental attitude is cliché but it’s constantly recommended for a reason. Think of yourself living a cigarette-free life and acknowledge the little triumphs; going an hour longer than usual without smoking is a win so don’t forget to celebrate that little win. Just don’t celebrate with a cigarette. Nicotine withdrawal typically lasts for 3 days so the first 72 hours after you quit will be when your patience, desire to quit and willpower is tested. If you can get through the first 3 days without a cigarette, you can get through the rest of your life without one too. Making smoking a habit is easy but, like most things, breaking that habit is extremely difficult. If you are serious about quitting though, you’ll find a way to beat the addiction and hopefully, there is something in this post that will help you along your way. Good luck!